What excitement! What fun! What fabrics! 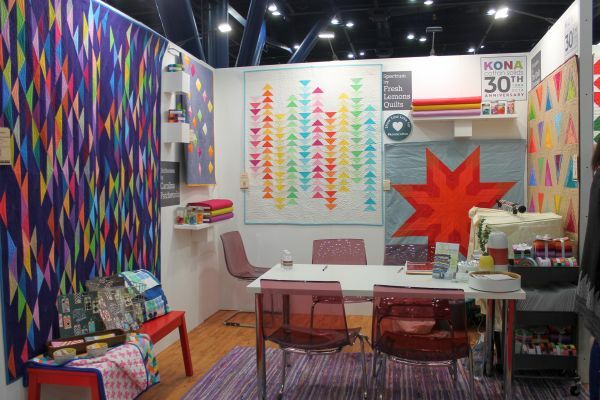 Today I will share just a taste of the quilt market experience, the wholesale tradeshow for the quilting industry in Houston, TX. 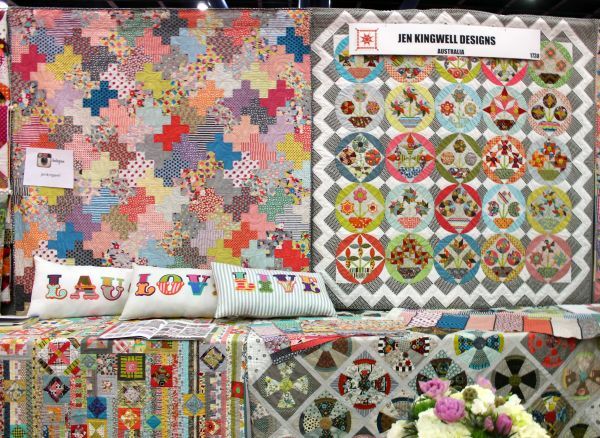 It consisted of a day of presentations, 3 days of shopping and a peak into the quilt show hosted by the International Quilting Association. This is just a fraction of the goodies I received at market! 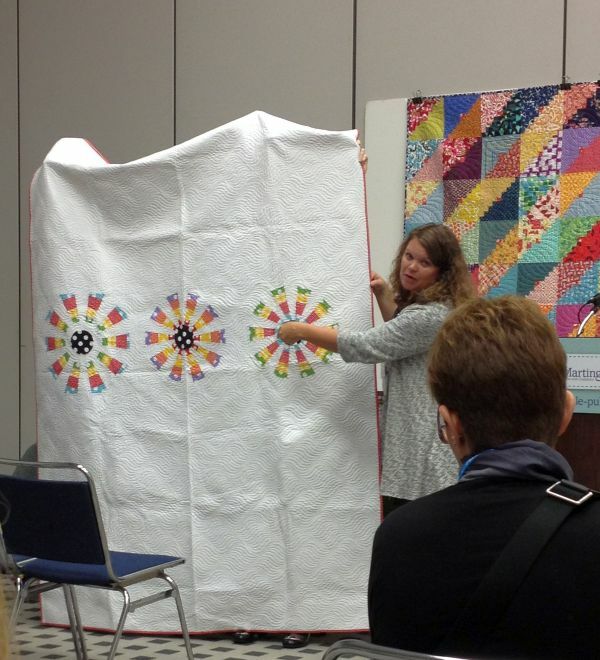 Dana Bolyard showing quilts from her new book Imagine Quilts. We got to hang out quite a bit and get to know each other better over the weekend – she’s super fun! 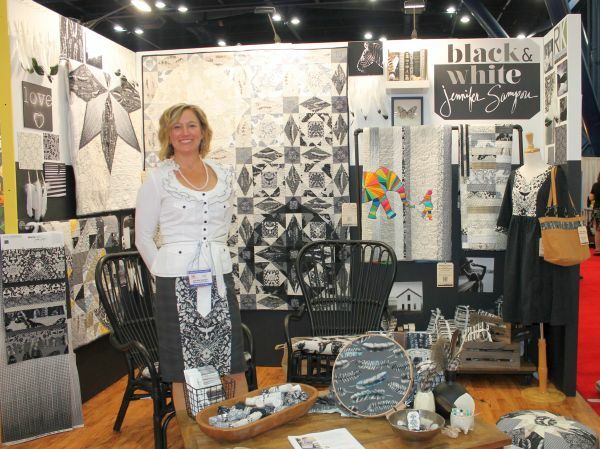 It was a full house when Kaufman fabric designer Carolyn Friedlander entered the room. 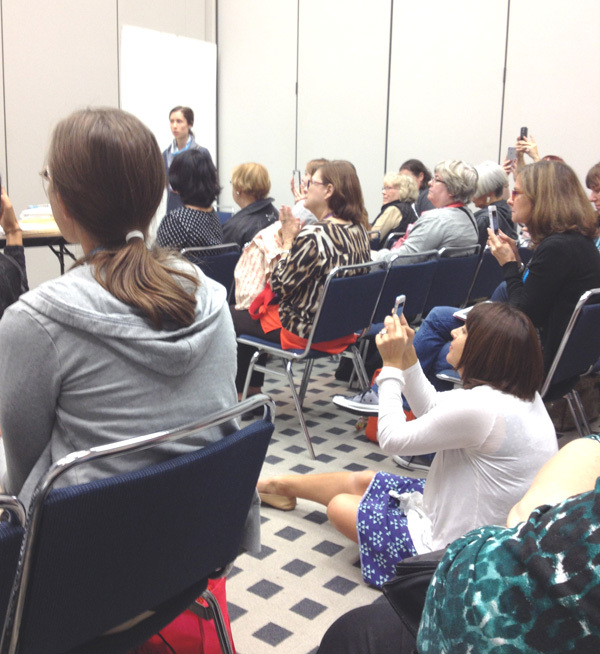 I had to snap this action shot of Modern Sewciety host Stephanie Kendron getting pictures of the action! And yes, Stephanie is just as fun in person as she is on her podcast! 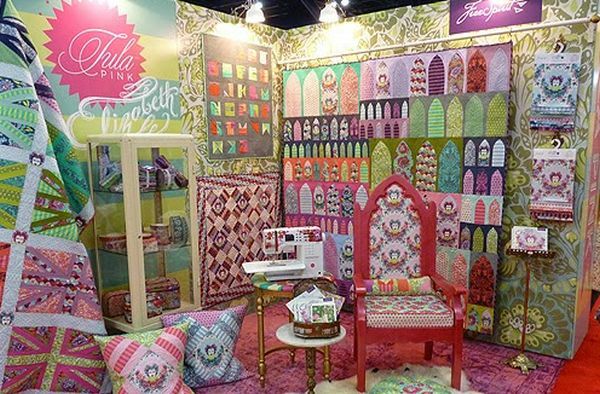 Sample spree was that evening – a time when fabric companies let attendees buy precuts of all their goodies on a cash and carry basis. I was like a deer in the headlights that night and although I was there to witness the chaos, I opted out of buying anything. I figured I would just order it for the store later, anyway! Jason kept track of all the precut orders we placed with our fabric sales reps so that we would stay within our budget. That’s very important for these types of shows! 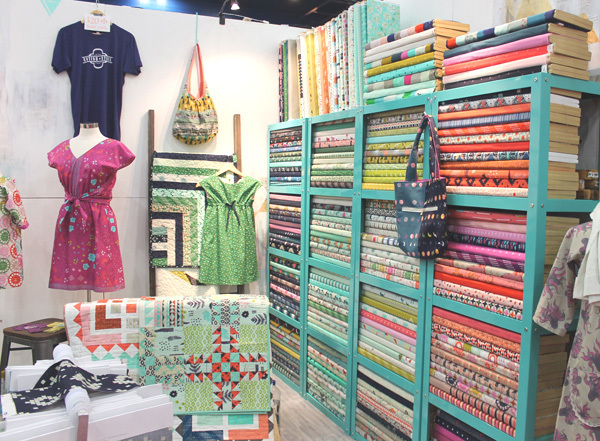 Quilt market was not only productive for ordering loads of precuts for our business, it was a great place to network with many of the big names in the industry. 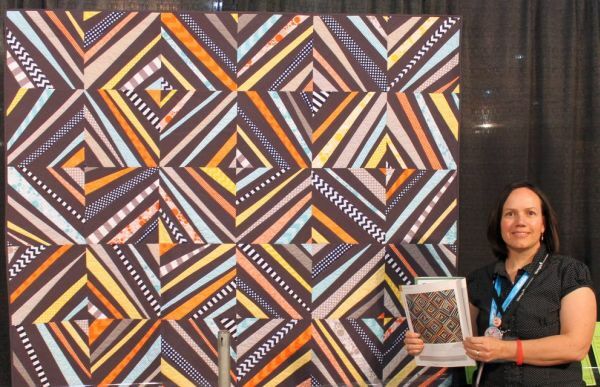 I spoke with designers, editors, marketing reps and fellow bloggers and made connections that will most likely lead to future work in the quilting industry, so that was exciting. 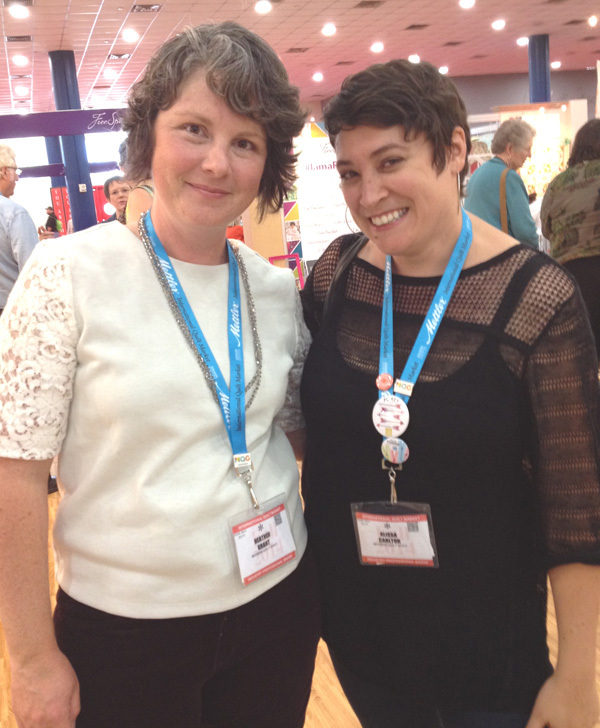 I had so many awesome conversations about modern quilting with movers and shakers in the industry like Heather Grant and Alissa Haight Carlton. They have big plans for the Modern Quilt Guild and I’m so excited to be a part of this wonderful organization! The License Plate Quilt, part of the Farm to Fabric exhibit hosted by Clothworks to showcase their American Made Brand of solids. We took a break from shopping on the 3rd day to check out the quilts from the International Quilt Festival. 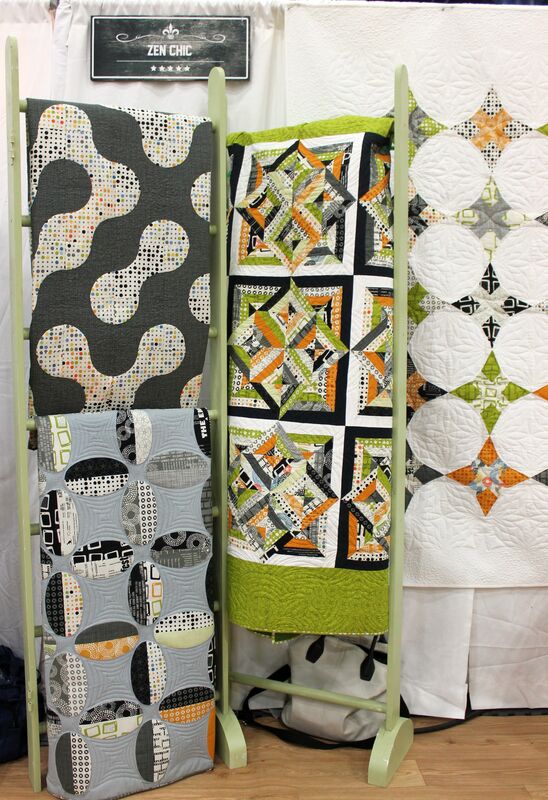 Be sure to check out my previous post about the Modern Quilt Guild Showcase. I don’t think I’ve ever seen so many quilts under one roof! 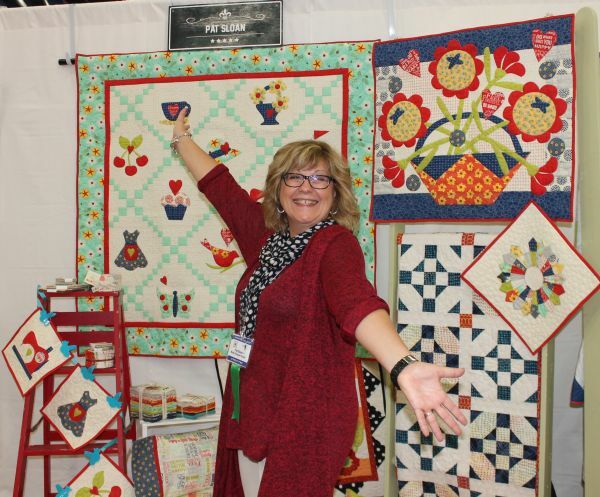 Each year Interweave publishes a special edition magazine called “International Quilt Scene” showcasing highlights from the show and market. It was pretty surreal when I found out they decided to include my quilt “Spiraling Out of Control” as one of two quilts chosen to represent modern quilts at the festival. It was pretty fun to see my quilt in the pages of International Quilt Scene magazine. We wrapped up our shopping on Monday, checking our lists and making sure we attended to all needed business. I can honestly say there’s nothing quite like seeing designer quilts made from designer fabrics that really get the creative juices flowing. I will leave you with just a few of the beautiful booths that were on display. I have ordered precuts of all of these and they will be here before you know it. I can’t wait! Beloved designer Jen Kingwell debuted her first line with Moda. It’s sure to be a hit! You just can’t go wrong with Kona Cotton solids from Robert Kaufman! Moda booth by Zen Chic – I love the modern vibe! Tula Pink‘s next line, Elizabeth is sure to be a hit. I love the throne!! 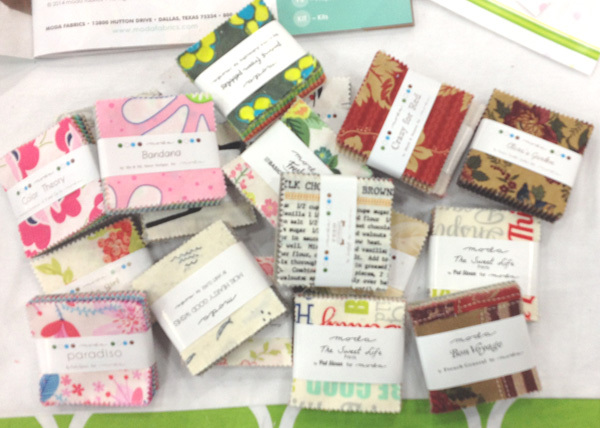 Cotton and Steel debuted their second collection – and we ordered all the precuts! It certainly was a great weekend, and I can’t wait to do it all again in 6 months! Thank you so very much for posting the Clothworks Textiles license plate quilt! Candice Hoffman did a great job coordinating that project for American Made Brands, and I was honored to have been chosen to send in my design for New Hampshire (bottom left row). It’s such fun to see it! Thanks again! All so tempting! How do you choose?! love your photos, thanks for sharing! It looks like a lot of fun… and sensory overload. Oh wow! And more wow! I can just imagine how fabulous it all was. I do hope to see it myself one day. 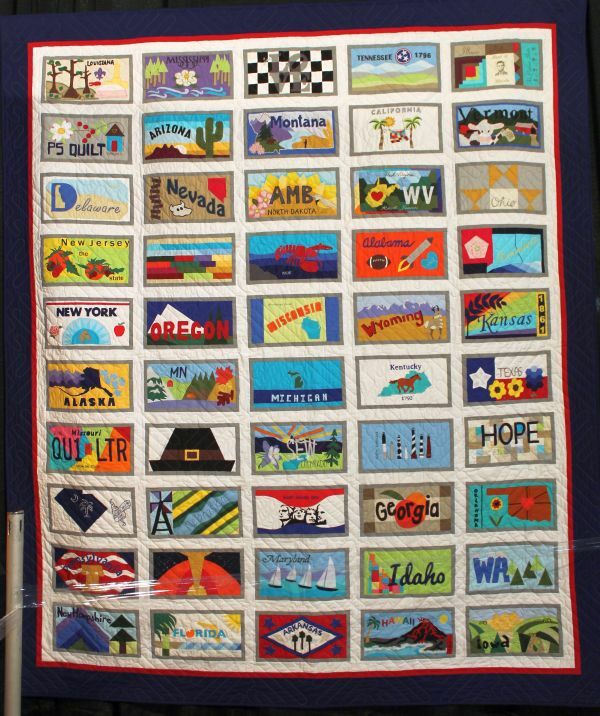 And thank you so much for posting the picture of the American Made Brand license plate quilt. This is the first time I’ve seen it and it is so great to see my block as part of it. I love your photos. Thanks for sharing! That looks like SO much fun! and congrats to you on having your quilt in the spotlight! What a great wrap-up Christa! Fun, fun. congratulations on having your quilt chosen. you are so talented. Nothing like seeing your work in print–congrats on the mag pick! Thanks for the peak behind the scenes. So much eye candy! Thanks for bringing some home to share. Can’t wait to see what fun items you are sending. Thanks again so much!! Oh wow what a huge choice! I so with I would have been there. We only have two quilting events in my area. I’m not surprised that Spiraling out of Control was chosen. It is one of my favorites! Come to think of it, I am surprised as my pick is seldom everyone’s pick! Oh well, they got it right this time! I’ll be going this weekend, I don’t have a blog just a beginning quilter. This will be my very 1st show of any type I am beyond myself with excitement, even my husband is getting excited to take me & carry my bags!! Wow there is a lot to take in. Wish I was there. 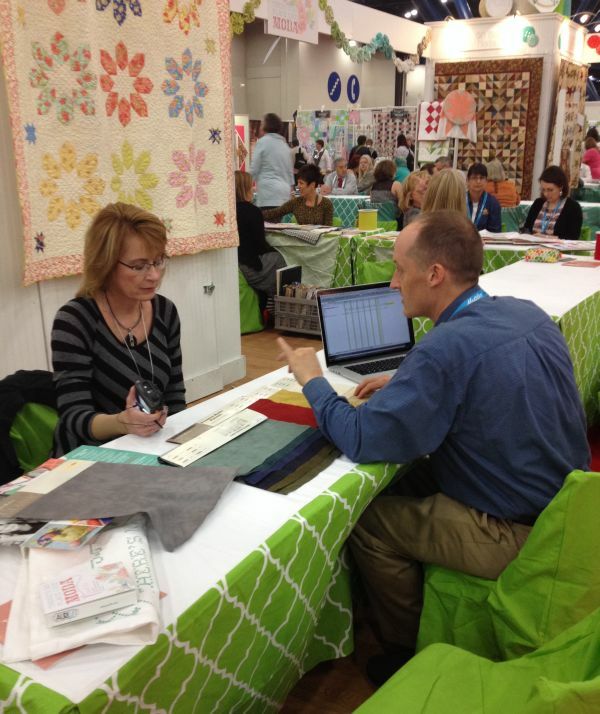 Thanks for sharing quilt market with us. Okay I’ve seriously got to start planning now to attend Fall market next year. Look like a great market. I’m sure you had a good time. Wish I was there.